without a properly developed inconsistent calculus based on infinitesimals, then in- consistent claims from the history of the calculus might well simply be symptoms of confusion. This is addressed in Chapter 5. 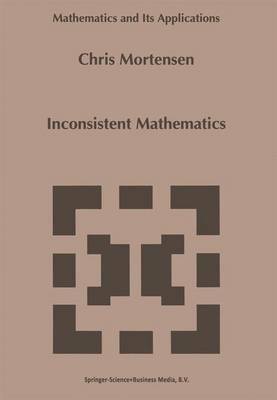 It is further argued that mathematics has a certain primacy over logic, in that paraconsistent or relevant logics have to be based on inconsistent mathematics. If the latter turns out to be reasonably rich then paraconsistentism is vindicated; while if inconsistent mathematics has seri- ous restriytions then the case for being interested in inconsistency-tolerant logics is weakened. (On such restrictions, see this chapter, section 3. ) It must be conceded that fault-tolerant computer programming (e. g. Chapter 8) finds a substantial and important use for paraconsistent logics, albeit with an epistemological motivation (see this chapter, section 3). But even here it should be noted that if inconsistent mathematics turned out to be functionally impoverished then so would inconsistent databases. 2. Summary In Chapter 2, Meyer's results on relevant arithmetic are set out, and his view that they have a bearing on G8del's incompleteness theorems is discussed. Model theory for nonclassical logics is also set out so as to be able to show that the inconsistency of inconsistent theories can be controlled or limited, but in this book model theory is kept in the background as much as possible. This is then used to study the functional properties of various equational number theories.